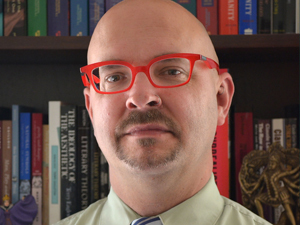 Kent L. Brintnall is an associate professor in the Department of Religious Studies and affiliate faculty with the Women’s & Gender Studies Program at the University of North Carolina at Charlotte. He is the author of Ecce Homo: The Male-Body-in-Pain as Redemptive Figure (Chicago, 2011) and co-editor ofSexual Disorientations: Queer Temporalities, Affects, Theologies (Fordham, 2017) and Negative Ecstasies: Georges Bataille and the Study of Religion(Fordham, 2015). He also serves as the North American editor for Theology & Sexuality.